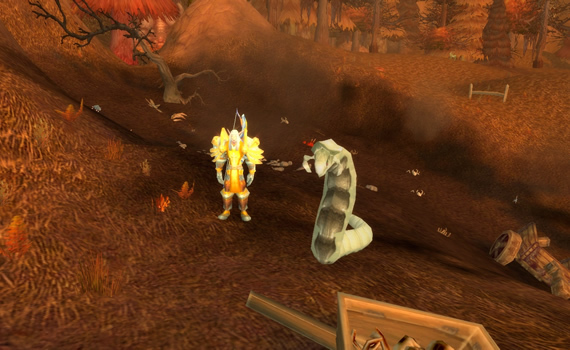 Spirocula is a ghostly white worm who creeps around in a pit just SW of Light’s Hope Chapel. 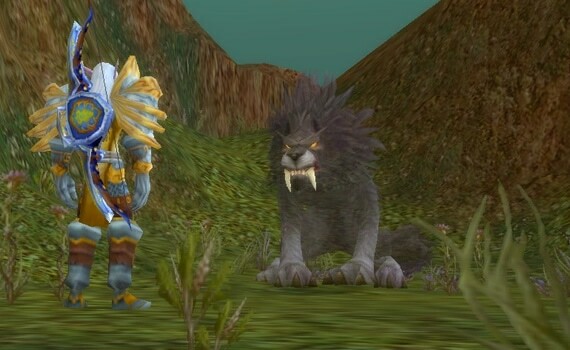 Although he’s only level 40, keep in mind that he is exotic, so you’ll need to be a BM Hunter who’s at least level 69 in order to tame this exotic beast. The pit in the background is where he lurks around. 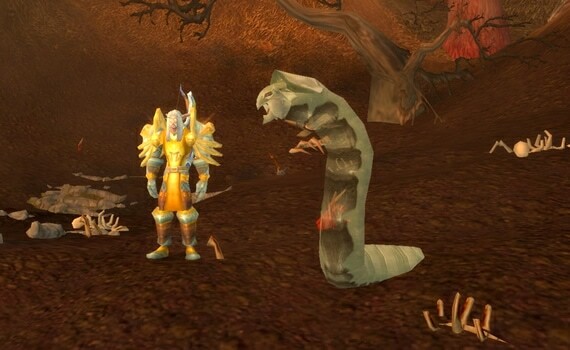 I like this re-skinned version of the classic worm model. Heading SW from Spirocula’s stomping grounds, you’ll encounter Snort – a ghostly brown Saber Worg. 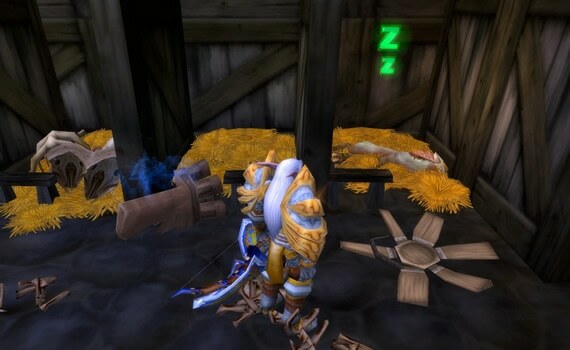 He can be found taking a nap on the south shore of Lake Mereldar. 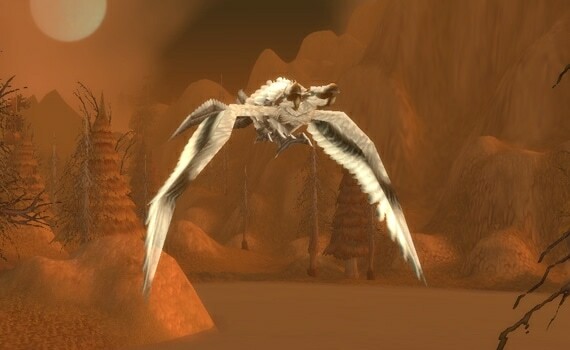 Fene-mal is a ghostly white Outland model Carrion Bird who hangs out in the center of the zone. 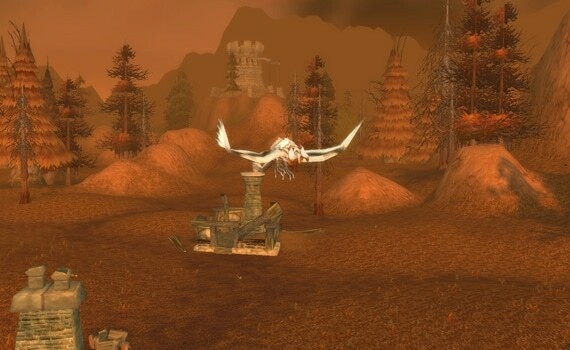 Fene-mal flies around in a circle above the ruins of an old house near Blackwood Lake. Varah can be found standing atop a pile of bones in Terrordale, which is located in the NW part of the zone. He’s frickin’ huge, so he’s pretty easy to spot if he’s out. He shrinks down after taming, of course, but beforehand he’s a massive Hogzilla. There’s a look at the ghostly unique rares to be found in the EPL. 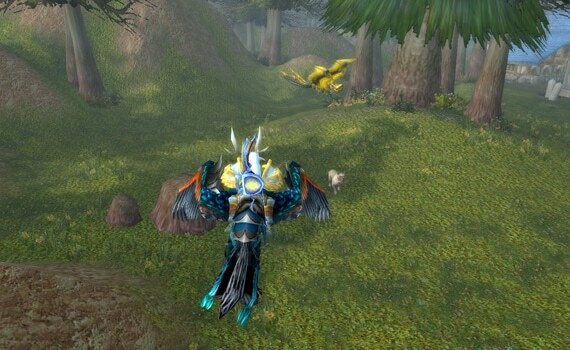 Heress can be found flying around the woods – just NW of Felstone Field. 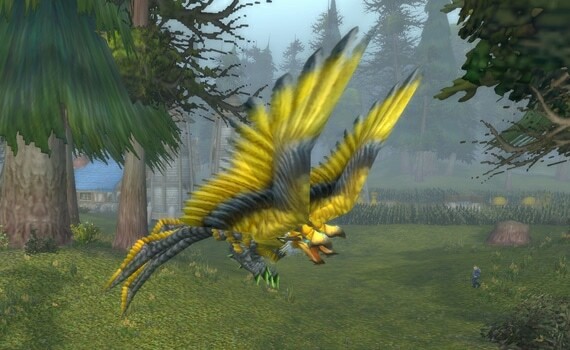 Heress is a ghostly yellow Outland edition carrion bird that looks a lot like Spiteflayer — the only difference being that Heress is partially see-through. Given that Spiteflayer is the only other bird that shares this model, the ghostly version is a very unusual look. I’m not a huge fan of the mutant two-headed vultures, but I’m actually kinda liking this one. 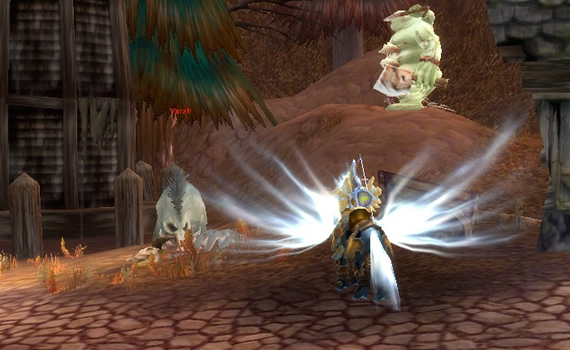 3 of the new ghostly unique rares can be found in Tirisfal Glades. 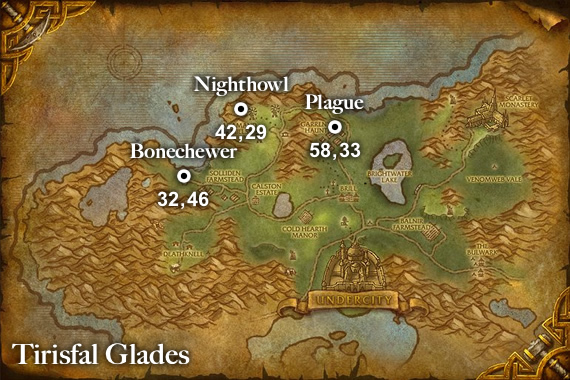 None of them are exotic and all 3 are low level – making them great catches for little undead hunterlings. Plague can be found sleeping in a stall inside the barn at Garren’s Haunt. 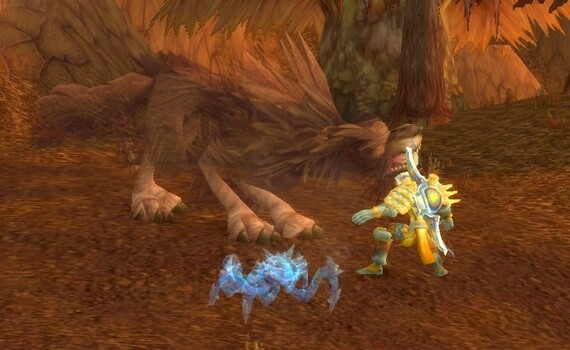 Plague is basically a ghostly version of the blue darkhounds in Tirisfal Glades. 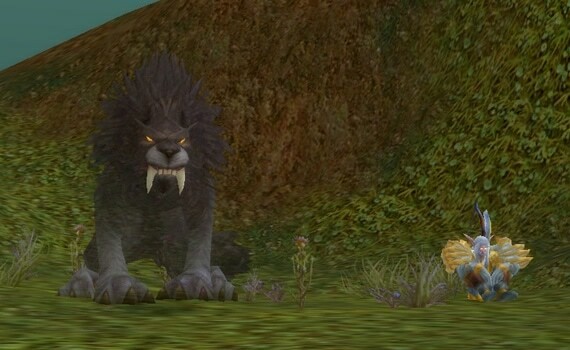 Nighthowl is a dark grey Saber Worg who spawns just west of Agamand Mills. If he’s out, you’ll finding him sitting like a statue near the edge of the cliffs. Quick…staring contest. Me and you now. Like a lot of these new rares, he’s jumbo size and easy to spot – even if he is semi see-through. 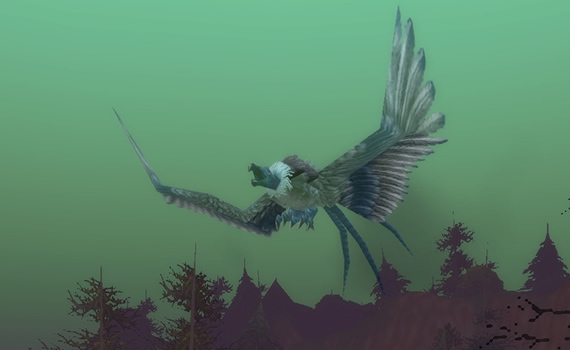 Bonechewer is a ghostly blue vulture who flies around the tower at Scarlet Palisade. He’s the standard carrion bird model, so he basically looks like a phantom version of Vultros. Hello, after reading this awesome piece of writing i am also cheerful to share my experience here with mates. I believe that you ought to publish more on this subject, it may not be a taboo matter but typically folks don’t speak about such subjects. 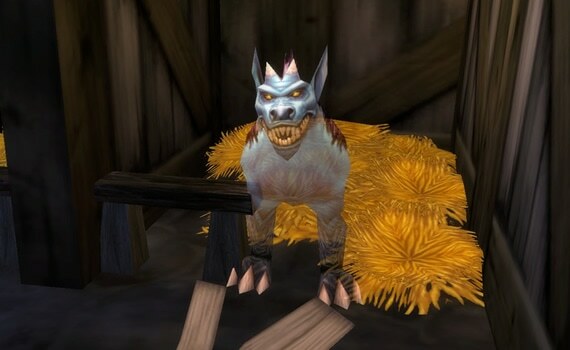 Popped into the barn and met up with the hunter who just tamed the plague dog, wasnt too impressed with the dog, meh, so headed over to where NightHowl hangs and got him instead! Nice look and semi transparent dark brown worg. I like him just fine and in retrospect, glad i got him instead of the plague dog. Hey, guys! 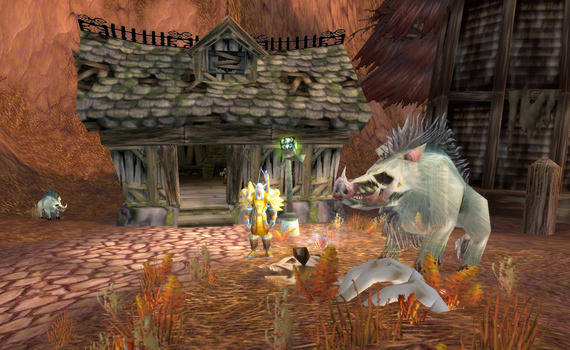 Just wanted to check back in with you and let you know that I have now tamed all of these guys on Dragonblight. Varah was by far the hardest to tame- I had to wait nearly three hours to catch him. I had to camp roughly an hour to catch Spirocula, and maybe twenty minutes to catch Fene’mal. Only in the sense that it will help prepare me for my eventual spirit beast hunt. =) Otherwise, I’d say just grab them if they happen to be there. There are plenty of ghost pets to be had out there, and all of these species have at least one more to find other than Plague, and he’s super common anyway. 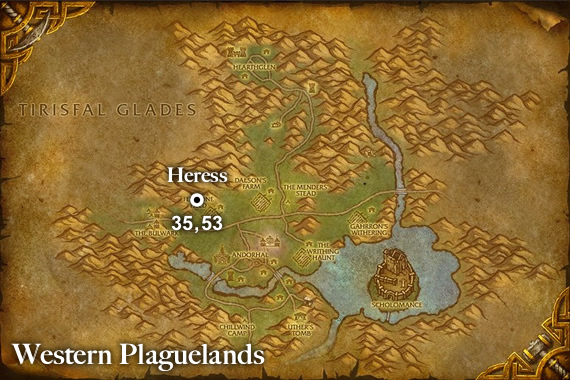 Yeah, the Tirisfal Glade ghost rares seem to respawn at least once an hour (ditto for Heress) but Varah seems to have a three hour spawn timer or so. I got to his site at 11:16 this morning, and he didn’t respawn until 1:47. 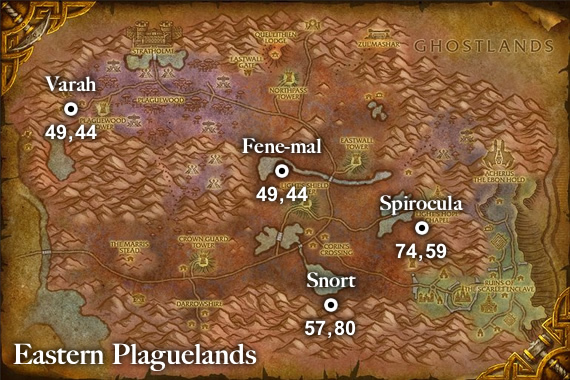 I would assume there’s a similar spawn time on the other ghost beasts in the WP. 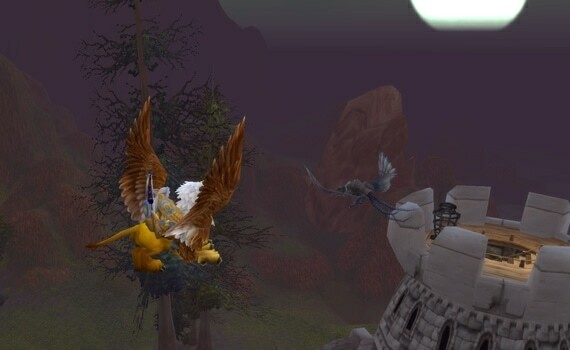 I’m new to the hunter class and so started off taming the beasts in Tirisfal Glade. I know they’re supposed to be rare, but they simply aren’t. I managed to these and a few other rares in the vicinity, and they were all there as soon as I arrived. No camping or return journeys. My personal favourites of the new additions so far are Nighthowl and Shadowstalker. None of these really appeal to me sadly, at least not the way spirit beasts do or enough to make me delete any that i have already. 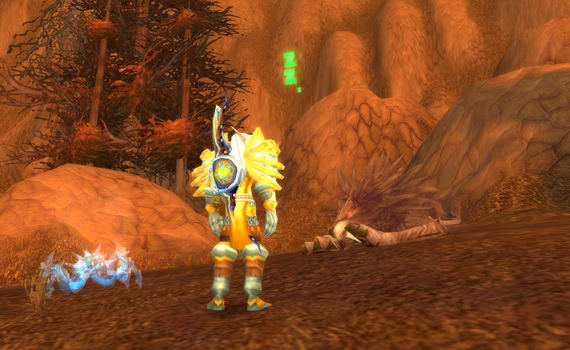 Unfortunately, I think the monk got the coolest pet design for this expansion. Far far too many good pets out there! I have a good stock of ghost-pets myself but your pointers may help me swap out a few of the remaining non-ghost/spirits. Thanks!